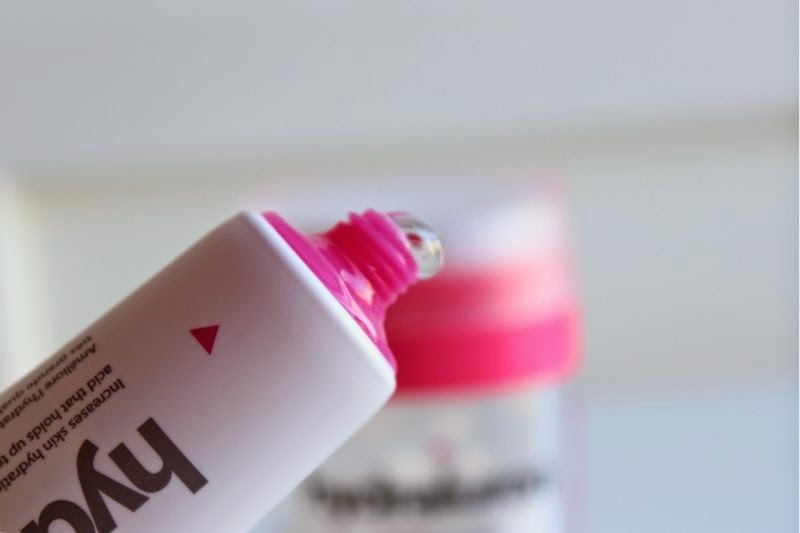 Indeed Labs Hydraluron - Worth the Hype? Take a look at my battered bottle. Does it look like a neglected product? Nope far from it - in fact to this day I am not entirely sure what the blue marks on my tube are, to the best of my recall I have not burst a pen. Hmm? Anyway when Indeed Labs Hydraluron first launched over two years ago the beauty world went gaga for this jelly like serum. I will level and say the fuss went entirely over my head as I wrote this product off as one of this over hyped skin care products that would be next to no use for my oily skin. Okay I think we have all established that Indeed Labs Hydraluron is not the cheapest product out there but it really does make a world of difference. Basically this is a light gel come jelly substance that you apply to freshly cleansed skin then layer your moisturiser over be it morning, night or both. There is lots of science involved which I will be honest is not my forte. In Essence Hydraluron contains a high percentage of Hyaluronic acid which we do produce naturally but like everything else the production rate slows down as we age. From what I have gathered Hyaluronic acid is what traps water into the top layers of our skin keeping it hydrated, plump and hopefully youthful. Interestingly Hyaluronic Acid can hold up to 1000 times its weight in water, in essence Hyaluronic Acid (which in this case is Hydraluron) can help your skin retain moisture and in turn you get more from your moisturising cream. Like I said my grasp of science is basic but from what I have gathered this is what Hydraluron can and does do in layman's terms, just don't hold your breathe for any Adrienne hosted science classes any time soon! All of the above information is irrelevant if it does not deliver.Whenever I am ill, my skin freaks out and does a complete 360 going from extremely oily into a dried up, shrivelled mess. As the vast majority of my skin care stash is of course catered for oily/combination complexions I am often left feeling way out of my depth and will apply heavy moisturisers that sit on top of my skin. Less than ideal. 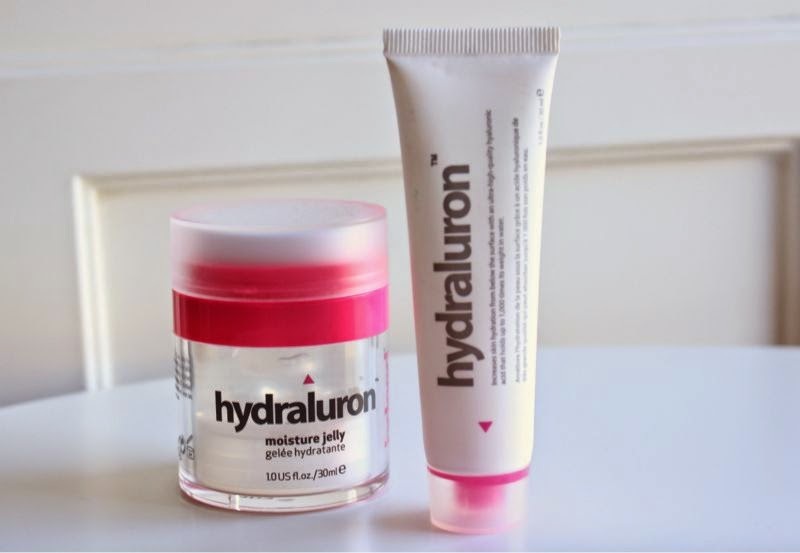 On a whim I tried Hydraluron and really didn't expect it to do much, if I am entirely honest I was half expecting it to break my skin out. Yes, I was wrong, very wrong. I can truly say that Indeed Labs Hydraluron is one of the few products that I truly have seen instant results from, even when my skin isn't playing up and is at its oily best I still slick this on at night. Dedication at its finest. 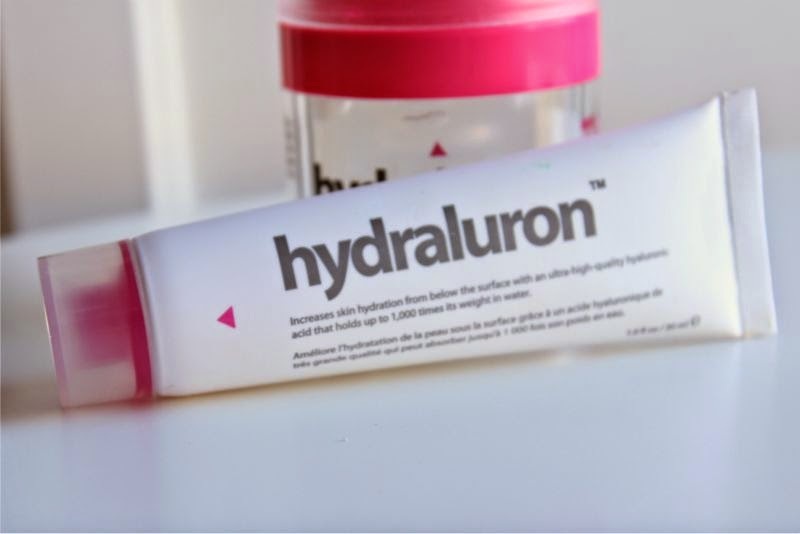 You see Hydraluron really does what it says on the tin, from the first application my dried out skin felt replenished and hydrated. Dry skin patches all but vanished over night and my skin had a certain glow and of course looked plump. It really is bizarre how quickly this works. Of course you do have to use it in conjunction with a moisturiser be it a night or day cream (or even both if your skin is exceptionally dry) but the results are swift. The only downside is that if you do stop using it your skin will go back to normal (or dry if that is the case) but as most users become hooked from the first use I don't imagine this to be too much of a problem. Despite having oily skin I do have to admit defeat and say that Indeed Labs Hydraluron is worth every penny and maybe even more. Surrender to the hype, your skin will thank you. My first tube was a press sample my second tube I purchase myself and in a few weeks time I will happily purchase my third tube. I love this stuff! I stopped using it for 3 days when I went on holiday and my skin went back to dry and dehydrated :( Miracle stuff! I liked it, but I still prefer my TBS vitamin E moisture serum! Thank you for the review! I am going to post my thoughts on Hydraluron soon as well. It seems that people with "dried out" skin, as you pointed out, see instant results whereas those with normal skin don't... Interesting. Thanks again! BTW, I found your post through a retweet by Indeed Labs! I honestly have never tried this but have meant to ever since it was released, I like you, was always put off because of my oily skin. Maybe if it works for you I could give it a chance! I am looking forward to try this, will be picking one up once I settled down in our new place. This looks really interesting, I'll need to try this out! This is something I've wanted to try but definitely thought was overhyped as well! I'm glad to hear it's not, I need to check it out. I neeeed to try this! I've been so tempted to get this! Thanks for your review! I've been using the product for a few weeks and it seems I'm the only person with dehydrated skin who CAN'T see any results from it. I'm looking for another product before the winter season is here and my forever thirsty skin feels like falling apart. Have you tried any other product you could recommend?